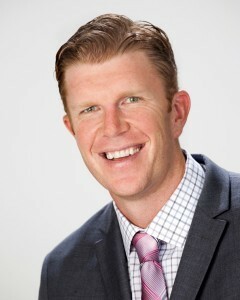 Please describe what you would like Matt Birk to do: Please enter your message. 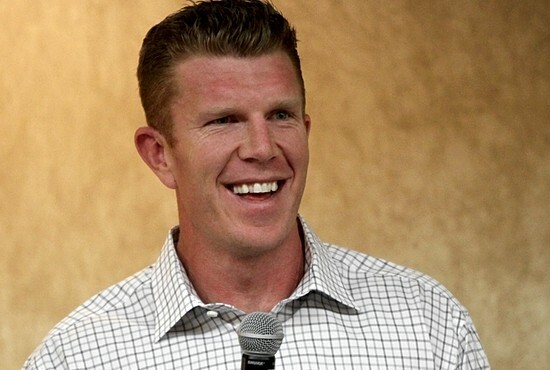 Matt Birk was raised Catholic but fell away from the Faith in college. He enjoyed worldly success during the first few years of his NFL career, but was still wandering and thus, not fulfilled. When an evangelical team chaplin challenged the Catholic Church, Matt went on his personal search for truth, and ultimately claimed his Catholic Faith as his own. 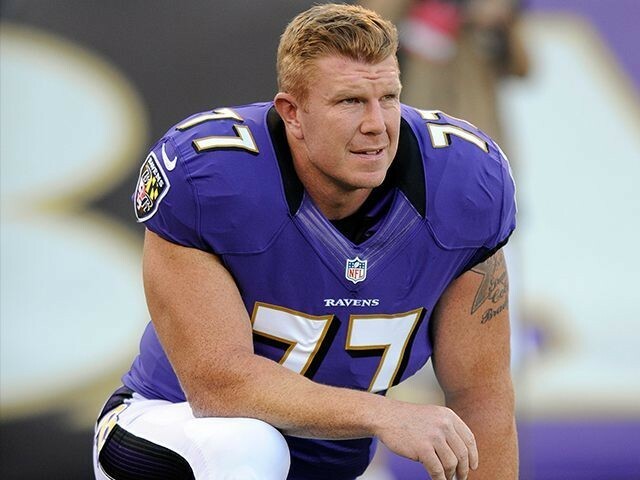 Matt not only fell in love with the Church, he lived out his faith during his football career. 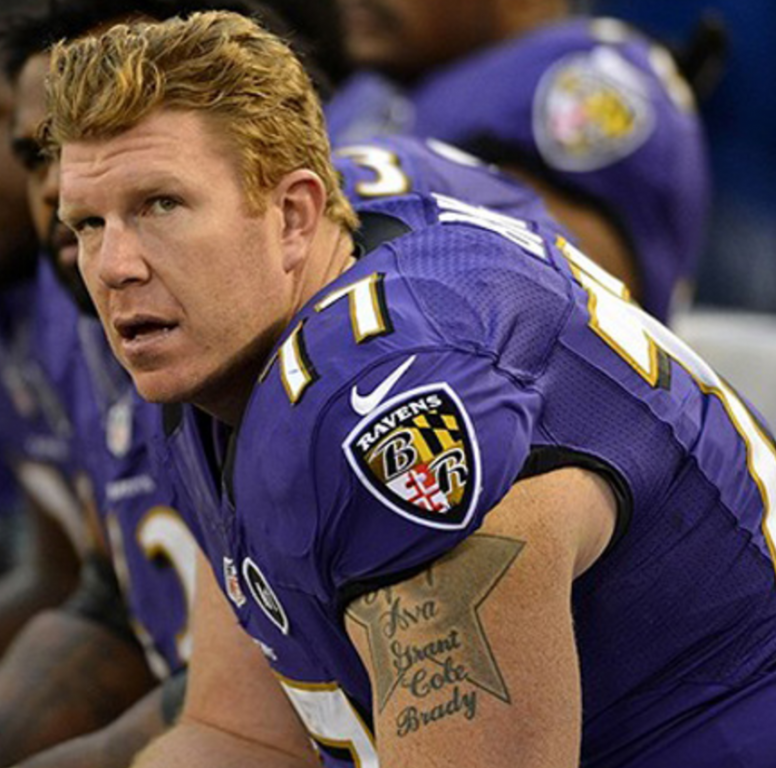 Matt was recognized for his community service work by winning the prestigious Walter Payton NFL Man of the Year Award in 2011. 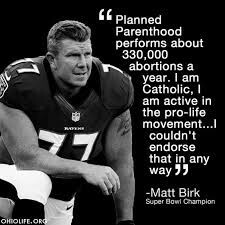 Upon winning the Super Bowl in 2013, Matt declined an invitation to go the White House, citing then President Barack Obama’s support for Planned Parenthood as the reason. Matt strives to not only talk about the faith, but live it as well. Matt and his wife, Adrianna, live in St. Paul, MN with their 8 children. 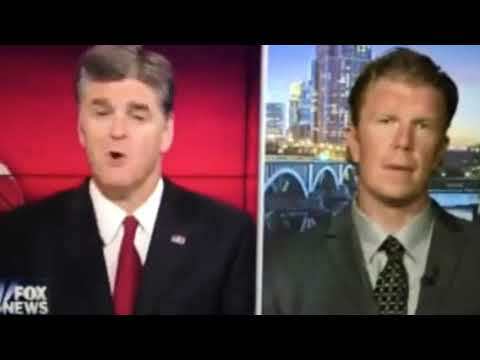 Matt made national news showing admirable courage and exercising his right to put God above all things and stand up for his Catholic beliefs. "I wasn't there," Birk said on KFAN-AM in Baltimore. "I would say this -- I would say that I have great respect for the office of the presidency, but about five or six weeks ago, our president made a comment in a speech and he said, 'God bless Planned Parenthood. Planned Parenthood performs about 330,000 abortions a year. I am Catholic. I am active in the pro-life movement, and I just felt like I couldn't deal with that. I couldn't endorse that in any way."